I was all ready to hate this film. The reviews were terrible and a good friend of mine whose opinions on movies I trust told me it was indeed abysmal. The Wachowskis generally don’t have a great track record either; the first Matrix film was superb (the second half was at least) but with the sequels they wrote themselves into a corner they couldn’t find a decent way out of, Speed Racer was pretty stupid and Cloud Atlas was just ridiculous. Nonetheless, right from the start of Jupiter Ascending I found I was having a good time. Great visuals, engaging story, sweeping score, epic ambition and low expectations. All of these things came together for a highly enjoyable viewing experience. I accept that mine is a minority opinion though. As suggested the critics were not kind and I feel the need to redress the balance; speaking up for the $176 million underdog. With this in mind let’s have a look at ten examples of the dressing down the press gave this bold and inspiring movie and see if we can’t offer an alternative view point. This is the first thing I want to pick up on. 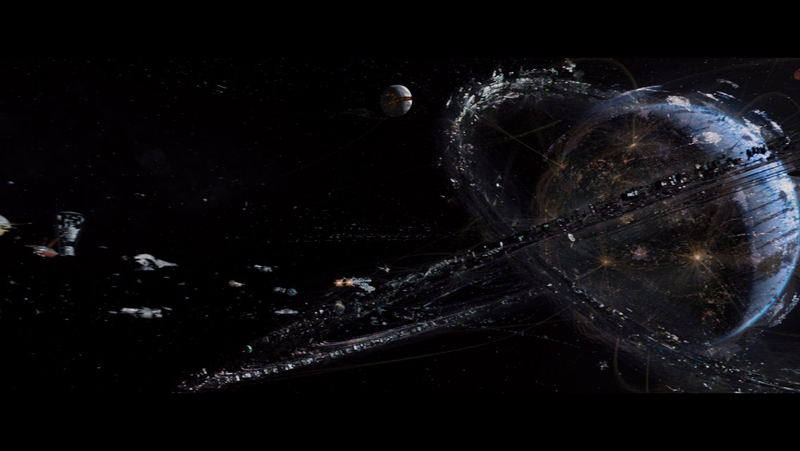 There is no denying that the design of Jupiter Ascending is just stunning. Everything from the costumes to the sets to the landscapes to the spaceships looks absolutely fantastic. To say the film lacks imagination is just not justified. True cinematic spectacle is hard to achieve in this age of no limits computer effects work but, in this respect, this is the most audacious work I have seen for some time. The film is a little frenetic but nowhere near as much as the widely revered Lego Movie. That movie really did make me sink in my seat, so bombarded was I by rapid and random images. By comparison the pacing here is positively relaxed. I’ll come to the mythology in a moment but first I have to speak out in support of the music. Regular Pixar composer Michael Giacchino has written a stirring and atmospheric score that brings in choral elements reminiscent of John Williams tunes for a certain other space opera. I’m not saying Giacchino is the equal of Williams, clearly not, but he is a similar kind of artist as evidenced by his score for Jurassic World, widely playing to cinema audiences at the moment. Again, I’m going to bring in another much lauded movie here by way of comparison. No one had a go at Inception for having a complicated plot, in fact this aspect of the film was quite rightly celebrated. I did not find Jupiter Ascending even marginally hard to follow and actually thought that the back story added a certain depth and some character motivations lacking from many adventure movies. Lots of film series have collapsed under the weight of their own mythologies, Pirates of the Caribbean and the Wachowski’s own Matrix Trilogy among them, but for me the world and culture created here gave much needed texture to what I’ll happily admit is otherwise a fairly flimsy narrative. Jupiter Ascending’s script is not its strong point. That is a fair criticism. However, it isn’t as dry as the Star Wars prequels and on occasion even strives to puncture its own pomposity. There is one particular moment when male lead Channing Tatum explains that he cannot love Mila Kunis’ Jupiter because she is royalty and he is spliced with a wolf, having more in common with a dog than he has with her. She responds to say she has always loved dogs and yes, it is as corny, as laboured and as painful as it sounds until she actually berates herself for the line. This is true to some extent. Mila Kunis does carry the film and the scenes without her in are not as good but she is in pretty much all of them so it’s a weak criticism. It isn’t a problem that a movie should depend so heavily on its main player. Think of Raiders without Harrison Ford, Drive without Ryan Gosling or Pretty Woman without Julia Roberts. I can see this criticism and others have said the only laughs are unintentional ones but it is impossible to take this film seriously and I can’t think that you are meant to. It isn’t overly deep and ponderous, certainly nowhere near as much as The Matrix. It is a fun romp and it doesn’t need quips and one liners to emphasis this. It isn’t trying to be Guardians of the Galaxy. There is room for more than one sci-fi film in this universe. Okay, let’s get into this. The Matrix was very far from being a perfect film and is not very different from the movies the Wachowskis have made since. It was pretentious but it was balanced by a smart science fiction idea and some excellent action sequences which seems to be their trait. The Matrix was a masterpiece from the point at which Neo says he needs guns, lots of guns, but up until that point it is all slow and sermonising set up. Oh, very droll. It’s possible you spent most of the film thinking of that line Mr. Herald Sun and wrote a review specifically to establish this punchline. I feel that this kind of superior film journalism is often more about the critic writing it than the films they are writing about. 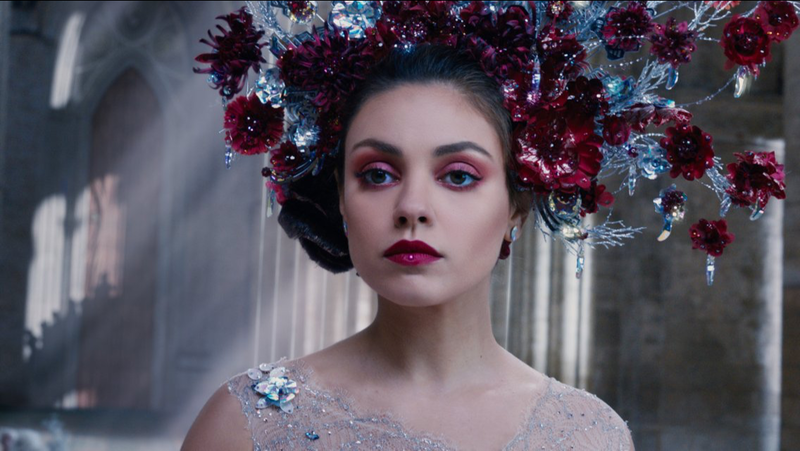 I am definitely not saying Jupiter Ascending is a great film, I’m just saying it isn’t a terrible one. It is always fun, sometimes spectacular, it has a touch of The Hitch Hiker’s Guide to the Galaxy about it in places and it has an amusing cameo from one of the Monty Pythons. I liked it no matter what other people have said about it.